Becoming a mature rider should be every rider’s goal. But just what does that mean? And what does it take to become a mature rider – because we all want to end up in the winner’s circle. Becoming a mature rider means many things. Of course it means that we respond quickly to our horse’s every move, anticipate the horse’s next move and manipulate the horse’s response to suit our desired goals. But it also means understanding and managing your emotions – on and off the horse. 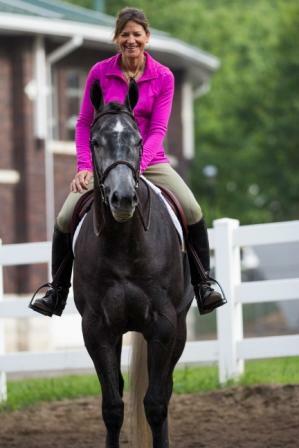 A mature rider possesses many of the same characteristics of a mature person. As with personal growth it takes time, self-discovery and experimentation – trying things out to see how it works for you. Below are the most important characteristics necessary to become a mature rider. Perhaps the most important characteristic is the ability to never stop growing – to understand and accept that you are always becoming a great rider. Mature riders own it. 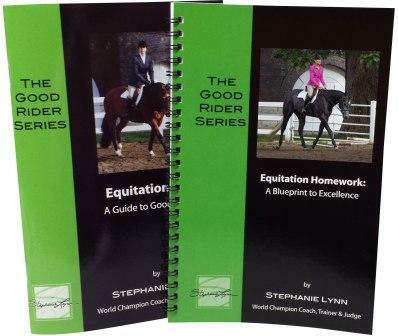 On your way to becoming a mature rider you are going to have to accept responsibility for your place in the process. No one can put time in the saddle for you; no one else can miss a lead for you so that you may understand how it feels, no one else can forget his or her pattern in order for you to overcome stage fright and no one else can experience the thrill of making the connection that results in a great ride so you may understand it. It is up to you to own your process, your ability to put time into your riding and your outcome are your responsibility. Eventually language changes from “he spooked” or “she did not respond to my leg” or “the horse in front of me” to “I felt him looking and closed my leg” or “she ignored my leg so I took a stronger hold” or “I saw the horse in front of me and cut the corner.” You must experience these difficult lessons first hand – it is part of learning, part of the process of maturing and no one can do it for you. Mature riders are coachable. Accepting instruction is part of learning to take responsibility. You will not have all of the answers. Coachable people share common traits that are mirrored in mature people. Humility, faith and a purity of purpose among them. The ability to seek other views is an invaluable trait. The process can always be improved and willingly looking for alternative methods increases your ability to manage circumstances as they occur. Mature riders are not threatened by another rider’s opinion or view. If they feel there is merit to the other point of view they take it home and try it on. When I was fifteen years old Jerry Erickson taught me a very important lesson. Certain I had all of the answers, Jerry and I argued about my ability to have a good ride on my horse, Vandy in the show pen. He argued that as long as I remained ten years younger than he, I would always have ten years less experience than he. Well, that shut me up – I acquiesced and accepted Jerry’s help. Decades later, I may have earned the right to make the argument that my way is a better way, but at that stage of my process Jerry knew what my horse needed. On that particular day he not only prevented my horse from being naughty by taking the reins in his hands, but he also taught me how to accept the fact that I needed to accept help to be a better rider. I always wanted more knowledge – and I wanted to be better than good, I wanted to be a great rider. I learned it was far more important for me to be good than to be right. Today, I hope to never stop learning – it is the very thing that makes life exciting, interesting and rewarding. To make Aristotle’s words my own, “the more I know, the more I know I don’t know” and I cannot wait to learn all about it – whatever it is. Mature riders are resilient. A mature rider bounces back quickly from a fall, from an error, from a bad ride and especially from a bad cue. There is no such thing as the perfect ride and a mature rider recognizes the good aspects, accepts the troublesome areas and identifies a plan of action to improve those areas in the future. The time it takes a rider to recover from a setback is a major distinction between a mature rider and a novice rider. The more quickly you recover from any misstep the more quickly you begin to anticipate and prevent missteps in the future. At the same time, there will be times when your results are not reflected in your score. The ability to accept criticism and flattery without letting it ruin your day or fill your head is a sign of maturity – in riders, competitors and life. Mature riders are flexible. If there is anything predictable about horses and horse showing, it is that horses are unpredictable. Just think of how many times you have told someone you would be home by six only to have the time completely lost to a sick or injured horse. Mature riders understand that no one can prevent the rain from coming down, the umbrella from opening at the exact wrong moment or the flight mode from kicking in when the skies unleash their fury. It is the exact reason that great rides are so memorable – it takes heaven and earth working in concert to have an outstanding ride at the exact time and place you need it to happen. You will have to adapt your goals for the horse you have on any given day. Period. You can only control how you react to what happens around you, including how your horse feels on any given day. If your horse is sore, you must revise your strategy to salvage the ride and more importantly to do right by the horse. The needs of the horse must always come first. Mature riders have great faith. You must have unflappable determination and grit. If you want to win a World Championship, you must remain confident in your ability to achieve your goal, march through the steps above and beyond and believe in yourself. Your faith will be tested. Major life changes will happen, you will get undeserved criticism, receive unearned flattery and promises will appear broken. Only you can control your belief in your ability and your deservedness to accomplish your goals. Stick-to-itiveness is up to you! Mature riders trust their gut. Learning to trust to your inner-self is a result of experience. Just like child learns that a flame is hot, so too do riders learn to pick up on their horse’s senses and likely reactions to specific circumstances. As you mature as a rider, you will begin to protect your horse as you would a child. But this too only comes from experience, trial and error and time in the saddle. It takes years of riding to develop the skills necessary to be a great horseman. Listening to your gut tests your ability to overcome errors of the past and try again. At the same time, mature riders need to understand when they need to push through a moment of doubt. Self-doubt is a demon sent to test your faith. 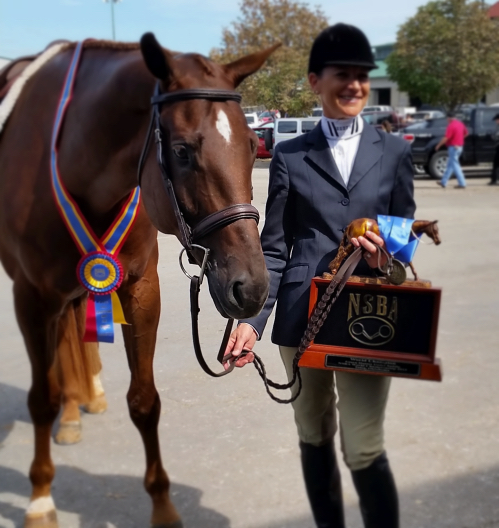 There will be times as you develop your skills that you need to push through scary moments: the jumps being raised, your first time on pattern, your first time down the fence or your first time at the World Show. In order to progress, you will have to push through – have faith. Mature riders ride with a purity of purpose. Perhaps this should be stated first – like a horseman’s oath to always do right by the horse. If you are ever to truly become great, you must desire to do well for the sake of doing well by your horse, being the best rider you can be for your horse – not for the accolades. The greatest among us give credit to many who helped them along their way. They see how others have contributed to their success and sincerely honor those who played a role. They also honor their craft, their talent and the gifts they possess for which no person had a hand in doling out. It takes a big load of humility to become a mature rider. As C. S Lewis said, “True humility is not thinking less of yourself; it is thinking of yourself less.” Having humility means the horse takes credit for the win and the rider accepts responsibility for a loss. Whether it is a differing opinion, a low score, a misplaced compliment or the ability to allow someone to go before you, respecting others will bring you much closer to the success you desire, one humble moment at a time. Accolades come and go in a moment. They are temporary marks on your path to becoming a mature rider. No single ride, win or moment in the show pen defines you. It takes them all to become a mature rider – one capable of winning it all. Lastly, remember you are a teammate and there will be a time when you will be required to carry the entire load. Accept the responsibility with a humble heart because their will also come a time when your partner saves your ride. So we should thank the horse for helping us become mature. Thanks for such an enlightened article. What terrific points and great advice. I love that you acknowledged faith as being such an important part. And I love the c.s. Lewis quote. Your articles are beautifully written and hit the nail on the head. Thank you for putting my thoughts to paper and reminding me of the path I want to remain on.